We can't 100% eliminate the risk of getting ZIKA virus, but the contagious virus infection is hitting right on our shore lately. Although only a few cases being reported in Malaysia as to date, we can't deny that the virus can spread very fast nationwide within a short span of time. Does your insurance cover you if we unfortunately infected by the virus? Yeah. You see it right. Eligible developers can now apply for moneylenders licences to provide loan facilities of up to 100% to property buyers. The licence would be issued by the Urban Well-being, Housing and Local Government Ministry under the Money Lending Act 1951 (Amendment) 2011. Be Money Smart And Avoid These Credit Card Scams! Chances are if you’re reading this, you are one of the millions of credit card users in Malaysia. 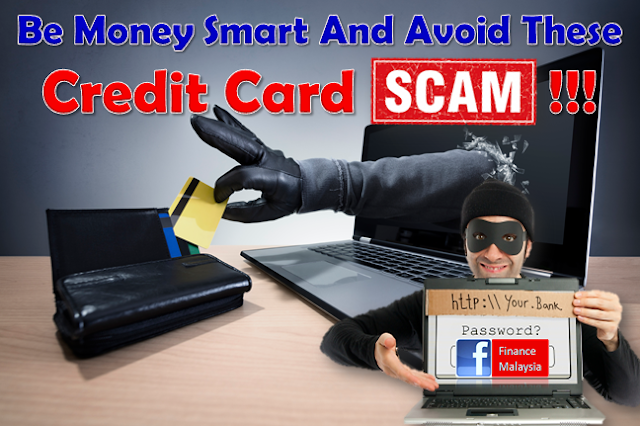 But did you know there are various credit card scams in Malaysia that you need to avoid at all costs?